Marvel at the unique wilderness and wildlife of the Antarctic Peninsula on this superb cruise and camping adventure. Enjoy breathtaking views of the sea, snow and icebergs as we sail through some of the most remote and ecologically significant islands in the region. We start the tour to antarctic at Ushuaia, in the afternoon. Ushuaia is the southernmost city in the world located in the shadow of the Andes. This beautiful city is located to the south of the Beagle Channel and is the biggest settlement on the Channel. Beagle Channel is a strait separating islands of the Tierra del Fuego Archipelago, Argentina. It separates Isla Grande de Tierra del Fuego from the islands Nueva, Picton, Navarino, Hoste, Londonderry, Stewart Islands and other smaller ones to the south. The Channel gets its name from the ship ‘Beagle’, in which the famous scientist Charles Darwin had done a hydrographic survey of the region. We’ll sail through this scenic waterway during the evening. The Antarctic Peninsula is part of the Antarctic Continent. It is the southern continuation of the mountain chain that runs from North America through South America and into the Scotia Sea. From here it continues mainly as a sub-marine ridge- the Scotia Ridge, until it emerges above sea-level at the northern tip of the Antarctic Peninsula. The peninsula consists of an 800-kilometer long mountain range and numerous off-lying islands. The tallest peaks of this mountain range are approximately 2,800 meters high. 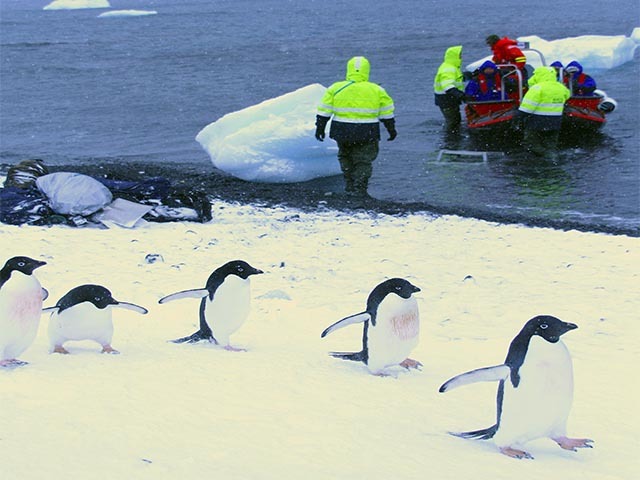 In addition to its lovely scenery, the Peninsula has the widest variety of wildlife in Antarctica. Visitors are sure to be mesmerized by the large number of icebergs, glaciers and high mountains as well. On this trip there are a number of exciting activities to opt for, like scuba diving, field camping, hiking, kayaking, mountaineering and photo workshop. Our vessel and home for the next few days is M/v “Plancius”. The next two days will be spent sailing across the Drake Passage. The Drake Passage or Mar de Hoces is the body of water between the southern tip of South America at Cape Horn, Chile and the South Shetland Islands of Antarctica. We will arrive at the circum-Antarctic upwelling zone, as we cross the Antarctic Convergence. Look out for Wandering Albatrosses, Grey Headed Albatrosses, Black- browed Albatrosses, Light-mantled Sooty Albatrosses, Cape Pigeons, Southern Fulmars, Wilson’s Storm Petrels, Blue Petrels and Antarctic Petrels in this region! If the winds are favourable, we might enter Antarctic waters on the evening of the third day near the South Shetlands. The South Shetland Islands is a 540 kilometres long chain of islands that is located about 800 kilometers from Tierra del Fuego and about 120 kilometers from the Antarctic Peninsula. The archipelago consists of 11 major islands and numerous smaller ones. South Shetlands are mountainous, volcanic islands, windswept and often shrouded in mist and fog; yet they offer quite a few subtle pleasures to visitors. There is an amazing variety of flora which includes mosses, lichens and flowering grasses. The marine mammals consist of species such as Crabeater Seal, Leopard Seal, Weddell Seal, Fin Whale, Humpback Whale, and the Southern Right Whale, a rich species list as the Southern Ocean contains the greatest quantity of animal protein on Earth and hence is ideal for sea mammals. Seal hunters used to frequent the islands in search of Fur Seals. The Fur Seals were almost completely wiped out of this region. Today, the seals are protected by the law, and a few Fur Seals can be found breeding around the South Shetland Islands. We will sail into the Weddell Sea. The huge Weddell Sea, at its widest it is more than 2000 kilometers across, is located on the south-east side of the Antarctic Peninsula. This Sea is considered high-Antarctic in contrast to the north-west coast of the Peninsula, which is low-Antarctic. The Weddell Sea extends so far south that it is under the direct influence of the very cold Antarctic Continental Climate. The south-western and southern borders of the sea are formed by the Larsen and the Filchner-Ronne Ice Shelves. These shelves produce the huge tabular ice-bergs that are so abundant in the Weddell Sea. The Weddell Sea was discovered in 1823 by the British sealer James Weddell. We will sail into the Weddell Sea through the ice-clogged Antarctic Sound. Named after the expedition ship of Otto Nordenskiöld. The sound that separates the tip of the Antarctic Peninsula from Dundee Island is also named “Ice-berg Alley”, because of the huge ice-bergs that are often seen here. We might visit Devil Island and Vega Island where we are likely to spot a large colony of Adelie Penguins. We can hike to the top of the hill to get a panoramic view of our magnificent surroundings. The melting ice sometimes results in a spectacular waterfall from the cliffs close to point ‘Well-Met’. The protected waters around Herbert Sound on the north side of James Ross Island will be our “Base camp”.This place is rarely visited by other ships. We will have a great opportunity to explore this region on foot, by zodiac boat, through photo excursions and kayak trips. We stay anchored for two nights in order to spend two nights camping and to get one full day for activities at either Uru Peninsula on James Ross Island or Vega Island. If we are unable to follow the Hebert Sound leg of our itinerary due to unfavorable sea ice conditions, we can continue our voyage to look for new camping grounds elsewhere. This may mean exploring the unknown – just like a true expedition! In the morning, we return to the ship and continue sailing to Paulet Island. If the weather conditions permit, we will land on this remote island to see the remains of the Nordenskiöld expedition as well as thousands of Adelie Penguins. Paulet Island is a volcanic island, located just 5 kilometers south-east of Dundee Island. The island has a diameter of about 3 kilometers and the summit crater is 353 meters high. Geothermal heat keeps the island ice-free. The island is home to a colony of over 100,000 pairs of Adélie Penguins. We might also have time to visit Brown Bluff in order to make a continental landing at the Northern tip of the Antarctic Peninsula. Brown Bluff, located on the Antarctic Peninsula, at the west side of the Antarctic Sound. Below the steep cliffs Adélie and Gentoo Penguins breed. Leopard Seals, in search of penguins, often patrol the shore. 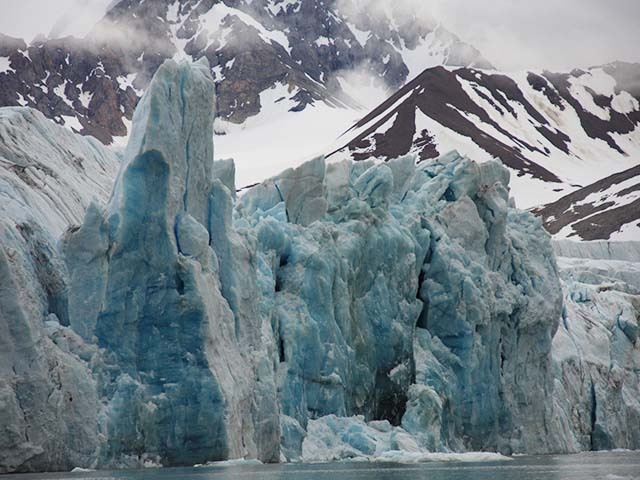 While sailing, we might get a chance to see a number of ice-floes. If the sea is calm at Brown Bluff, then there is a chance to go kayaking and then walk along the shoreline. We continue sailing through the Antarctic Sound to the western side of the Antarctic Peninsula along the Davis Coast. 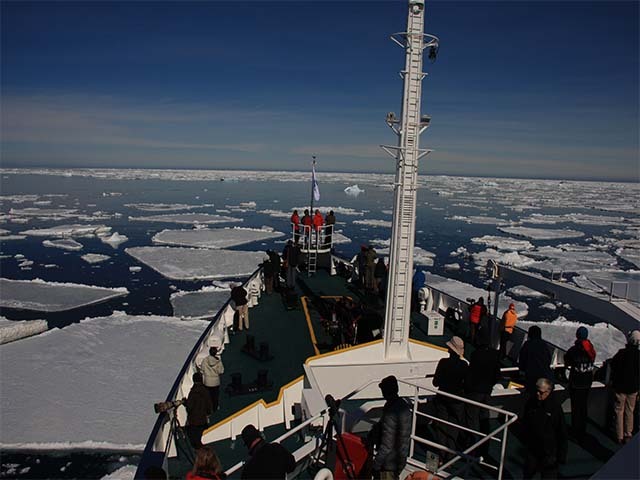 We sail along the Wright Ice Piedmont in the Antarctic continent. It is named after the Wright brothers- Wilbur and Orville Wright, who made the first airplane flight in 1903. We may explore Roe Island. It is an island that lies at the entrance of Curtiss Bay, just about 2 miles west of Graham Land (Antarctic continent). Roe is named after the British aircraft designer Alliott Verdon-Roe. Seaplane Point is situated a few miles off Roe Island in the Antarctic continent. It is named in association with Curtiss Bay, after Glenn Curtiss, the American engineer who pioneered seaplanes from as early as 1911. On Day 8, we will try to sail to Neko Harbour and Paradise Bay; the southernmost area of our voyage. Punctuated with myriad icebergs and deep cut fjords, we set foot on the Antarctic Continent here. Here, we shall get a chance to opt for some adventurous zodiac cruising between the icebergs in the inner parts of the fjords. To add to the excitement, we may chance upon Humpback Whales and Minke Whales. We will sail through the spectacular Lemaire Channel to Petermann Island, where we can spot Adelie Penguins and Blue-eyed Shags. We will also try making a stop at Pleneau Island, famous for the Elephant Seals. We have a good chance of encountering Humpback, Minke and Fin Whales here. If the conditions permit, we will seek for a place to erect our tents for a camp night ashore. We will sail via the Melchior Islands towards Drake Passage. We will again get a chance to see many seabirds. We will spend two days at sea as we sail back towards Ushuaia. Drift along the currents and pamper yourself with a book and the blue sea for company. 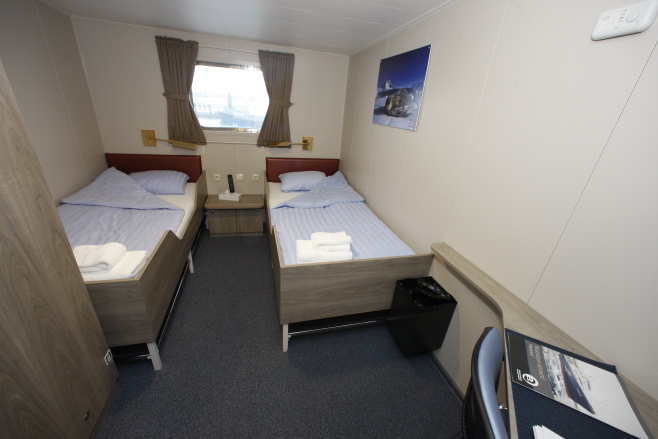 Our vessel M/v "Plancius", apart from the excellent rooms also has a restaurant, lecture room, observation lounge (with bar) and ample deck space for travelers to enjoy the scenery and wildlife around them. This is the last day of our thrilling expedition. We will reach Ushuaia in the morning and disembark from the vessel.